Labour in Meltdown – But What Is Anti-Semitism? Simmering tension within the British Labour Party over claims of antisemitism has boiled over. First MP Naz Shah was suspended; now the party’s former London mayor, Ken Livingstone has joined her. It’s an ideal moment to consider what antisemitism actually is. Many probably – perhaps secretly – gave up puzzling over antisemitism long ago. They’ve moved on to some other issue, like battery hens, where the oppressors are shamefaced and the victims can’t speak. The first step towards conquering antisemitism fatigue is to admit that you have the problem. I need to do it every day. Perhaps Shah and Livingstone, and a few others, might do so too. Allow me, if I may, to return to a few basics for deciphering our perennial “Jewish problem”. Semitic cultures and languages, largely traceable to the Middle East, include both Arabs and Jews. Unsurprisingly, people often bristle at the very phrase “antisemitic”: how dare the Jews act as if they’re the only Semites, let alone accuse Arabs of antisemitism? Indeed, how dare the Jews even pose as victims of racism, detracting attention from victims of “real” racism? After all, the average European Jew often physically and socially resembles the average indigenous European. So problems with Jews are simply “white on white”. For more than a millennium a term such as “anti-Jewish” would have made more sense than “antisemitism”. Some Jewish writers still believe it better captures the earlier source of the hostilities, which were often justified in theological terms. The term “antisemitic” kicks in with the Enlightenment, through the rise of race theory and the concomitant racialisation of Jews. 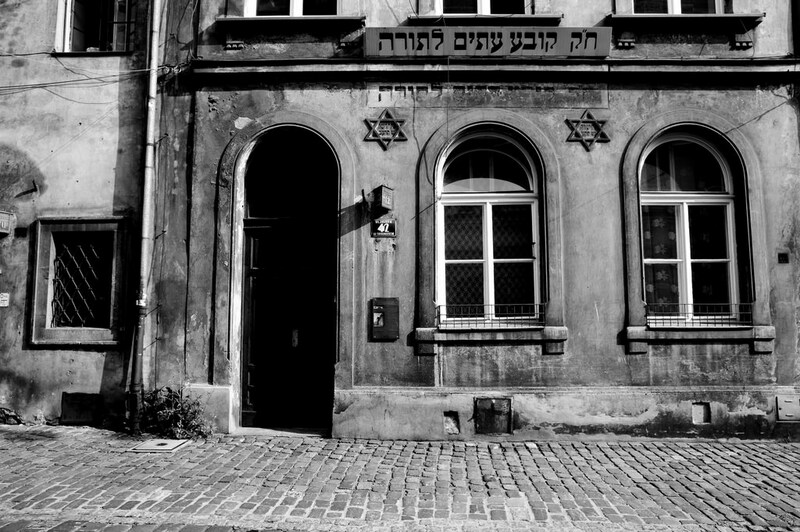 By the 19th century, rapidly growing upheavals wrought by market forces propelled the association of Jews with finance and behind-the-scenes control. Of course, Jews had over centuries turned to finance in part due to their rigorous exclusion from other economic activity, and, far more importantly, despite the fact that the overwhelming majority lived in poverty. Leftist antisemitism tends not to be about treacherous genes, but the treacherous heart. It links Judaism to Zionism, Zionism to imperialism, and imperialism to global control. Of course, many Jews have long pioneered leftist and anti-imperialist politics. When they criticise Israel with fervour, they all too easily become the voice of authenticity, the pure hearts. Resentment is also commonly expressed at the particular association of the Holocaust with Jews. The death camps, after all, claimed other victims, such as communists, Roma, homosexuals, the disabled, and Christian clergy. Millions of people were slaughtered by Nazi forces throughout Europe. Of course, anyone who seriously follows Holocaust remembrance knows that Jews have never claimed to be the only victims, and recall others in their commemorations. Nor, contrary to ubiquitous opinion, do Jews “use” the Holocaust to justify their presence in Israel or that state’s controversial military and security measures. To reduce the intricacies of the Arab-Israeli conflict to such a simplistic formula is an act of epic reductionism. Still, the distinctness of a particularly Jewish Holocaust runs far deeper. Nazi doctrine of course vilified many humans they deemed to fall short of some fantasy Aryan ideal. Other groups were at times portrayed as useless or defective, but Jews were singled out as the signal enemy of all humanity – ironically, the hidden force behind both imperial capitalism and Soviet Bolshevism. That image of Jews not merely as less-than-human but as the opposite of human, merely racialised, hence modernised, the age-old equating of Judaism with Satan. Even secular Europeans continue to believe de-contextualised appropriations of the maxims “eye for an eye” or “chosen people”. These are turned into opposites of what they originally meant: that Jews ought not to seek justice out of proportion to any wrongdoing done to them, and that God bestows not particular privileges but rather particular duties upon Jews. So yes, others were unquestionably brutalised in the Holocaust. But when the citizens of Vienna chose to force a group to its knees to clean the streets it was not any of those other groups. It was Jews. When shop windows were systematically painted in a boycott campaign and then later destroyed, they belonged to Jews. When towns boasted their compliance with Aryanisation, they erected signs advertising themselves “Free of Jews” (Judenrein). Bydgoszcz, Poland during World War II. Hitler, in countless speeches and writings rehearsed gripes against any number of groups, but when he dug to the “root” of all those problems he found not them, but Jews. When Nazi tabloid Der Stürmer adopted front-page slogans about Germans’ misfortune, the group causing it was none of those others, but Jews. When a German film about treating cancer included an “educational” animation, it displayed SS-men exterminating not members of any other group, but a tight cluster of grotesequely caricatured Jews. Anyone who denies the outright racialisation of Jews, and antisemitism as full-blown racism, perpetrated not only by Nazis but throughout Europe over centuries, reveals a frightful ignorance about the histories, meanings, and consequences of racism. When invective like “Nazi” or “apartheid” is then hurled at Jews, often with breathtakingly myopic readings of colonial and post-colonial histories – and yes, even when dissident Jews dramatise their views with such language, however well-meaning may be their intentions – then don’t be surprised that it comes across as antisemitism. Because it is. When we read daily reports revealing massive new waves of antisemitism by educated and influential people, tidied up with “apologies” (quite frankly, open and candid admissions about what they really do think would serve us all far better than the endless train of “Oops, I didn’t really mean it” fudges), then don’t be surprised that it comes across as antisemitism. Because it is. Eric Heinze is a Professor of Law at Queen Mary University of London. I disagree. In South Africa we have gone through a period of apartheid. It is a heinous crime against humanity. Many South Africans see a similar “apartheid” being practiced by the Israeli government in the seperation of Jews and Palestinians, the forced removal of Palestinians from their land , the policy of settlements and the treatment of Palestinians as third class citizens. This is apartheid in the making by the Israeli government and sadly has the backing of the majority of the Jewish population. I conclude by stating that if Israel governments policies are akin to apartheid or the practice by Hitler, then this should be clearly stated, just as many are accusing Donald Trump of being a “Hitler”. It may offend Professor and his ilk but I prefer to call a spade a spade. Why would Palestinians even be thought of as ‘Israeli Citizens’, Fayzal? Why would they not be separated? And wasn’t any land-taking long ago in a struggle for the death initiated by the allies of the Palestinians? Technically they are under our control or some such nonsense; the second they stop needing us to supply them with food, water, and everything else, they can become their own country and the border wall can stay up. Firstly, I do not subscribe to the two state policy. During the dark old days of apartheid in south Africa we had a similar policy that is occurring in Palestine and Israel where a small minority of a “white” government was carving up the country to provide blacks who made up 85 per cent of the population but given 20 per cent of the land in so called Bantustans. I see a similar apartheid subjugation that occurring in Palestine / Israel where a Jewish minority is trying to create it’s own “Bantustans” over a majority Palestinian people. Secondly, the topic is not so much about Israel and Palestine but the right to call Israel an apartheid state without being labeled antisemitic. Professor Eric Heinze is trying to stifle the freedom of speech and shut down any debate by declaring that using language such a apartheid and Hitler is antisemitism. If a person can make the argument that the policies of Israel is similar to apartheid or Hitlers policy of extermination why should this be antisemitism.